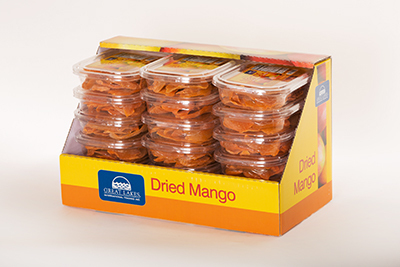 Mango Carton « Great Lakes International Trading, Inc.
Each carton contains 18 x 8oz. net weight tubs. Each carton measures 8” x 9.5” x 15”. The net weight per carton is 10.5 pounds. 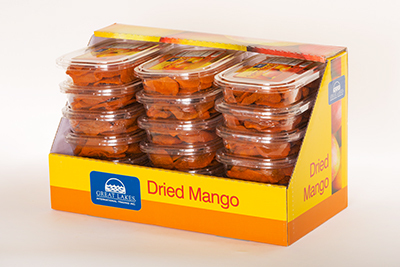 There are 90 cases per standard 40 x 48 pallet.